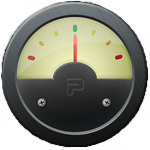 It can be quite scary tuning your instrument at first, but there are a few helpful devices and programs that can help. Firstly, if you don't own your instrument make sure you have permission from your teacher to tune it! It is quite easily done to permanently damage your instrument by excessive turning of the tuning pegs and tightening of the strings! Be careful!! Your teacher should have gone through tuning the instrument with you in a lesson before you try it yourself. This is a multi faceted app that has many different ways of tuning your strings through the microphone on your android device. 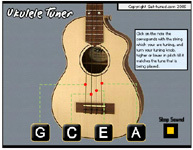 This is a simple chromatic tuner that tunes your strings through the microphone on your Apple devices. The Lite version is FREE! As well as using your mobile devices there are also convenient clip on tuners. These come in many different styles but basically do the same thing - they clip on to the headstock of your instrument and detect the vibrations of sound through a piezo pickup within the clip. 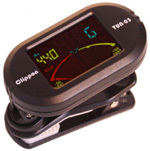 My favourite model is the Clippon Clip on tuner .Light and tunes a multitude of instruments in different keys. Just be sure to keep it set to A4 440 setting on the display. This number represents the frequency of the 'A' being tuned in hertz. If its set wrongly by accident you may find yourself falling out with the others in your band! Make sure you know the name of the string you are trying to tune. If your ukulele is very out of tune, or brand new, it may take some time to tension the string enough to reach this note on your tuner. Your strings will go out of tune naturally. It doesn't mean there is anything 'wrong' with your instrument. Do make sure that you start each playing session with the instrument in tune - it will help enormously!